Clive Anderson is joined by, amongst others, Sir David Frost, Bobby Womack, Angela Hartnett and Mark Steel for an eclectic mix of conversation, music and comedy. Clive looks Through The Keyhole to nosey at the remarkable broadcasting career of Sir David Frost. Among the world figures he has interviewed are six British Prime Ministers, seven US Presidents, from Tony Blair to Richard Nixon and many outside the political world. Sir David is celebrating the 50th anniversary of the pioneering satirical programme 'That Was The Week That Was' with a dedicated evening at London's BFI Southbank on Tuesday 27th November. Clive's burning up in Hell's Kitchen with chef Angela Hartnett, who cooks up a storm in her Michelin-starred restaurant, Murano. Angela's chair of the judges on this year's BBC Food and Farming Awards, searching for the most delicious and innovative food in Britain today. The winners will be announced at the BBC Good Food Show, NEC, Birmingham on Wednesday 28th November. Yes chef! Danny Wallace starts a Revolution with author and comedian Mark Steel, who's made a virtue of the touring comedian's life. Mark returns to Radio 4 to scrutinise some of the UK's more distinctive towns and sheds some light on the people, history and eccentricities that makes them unique. 'Mark Steel's in Town' is on Wednesday 28th November at 18.30. 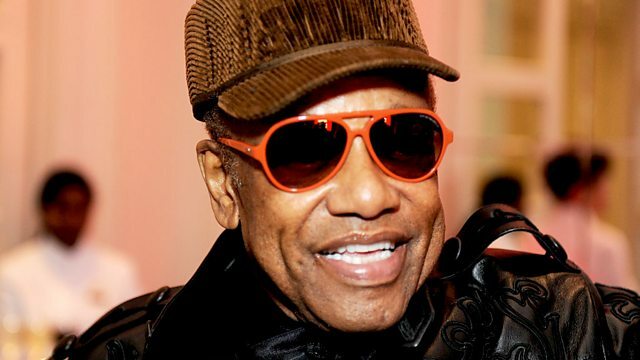 Clive crosses 110th Street to hang loose with legendary soul singer Bobby Womack whose career began as lead singer in 'The Valentinos' and as Sam Cooke's backing guitarist. Since then, Bobby's been in The Safety Zone, gone Back To His Roots and Saved The Children.... to name just a few of his 27 albums. Bobby reveals why he's now 'The Bravest Man in the Universe' and performs 'Deep River' from his Q award-winning Album of the Year. With more music from low-fi, alt-folkie golden boy Willy Mason who performs 'I Got Gold' from his album 'Carry On'. Winners will be announced on Wed 28 Nov - hear details on The Food Programme (Fri 30 Nov). Find more on ‘The Bravest Man in the Universe’ and tour dates on Bobby Womack's website. Mark Steel’s in Town’ starts on BBC Radio 4 on Wednesday 28 November at 6.30pm. ‘Carry On’ is available on 3 Dec on Fiction Records, see his website for tour details. 'That Was The Week That Was: A 50th Birthday Celebration at BFI Southbank’ is in London on Tuesday 27th November.